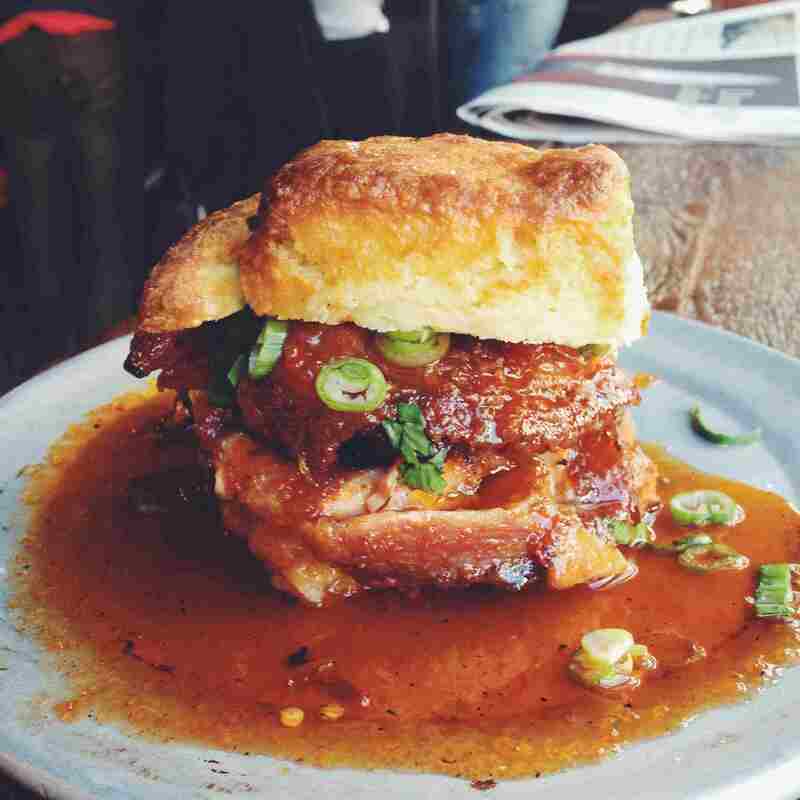 There's nothing quite like a fried chicken and biscuit sandwich. It's crispy, rich, comforting, and it's probably known as one of the best sandwiches that's ever existed. The fried chicken in this dish is doused with hot sauce which adds a spicy depth that is completely irresistible. And when it's all piled on top of a buttery biscuit, you'll understand why it's the perfect meal for breakfast, lunch, or dinner. Flaky biscuits, smokey fried ham, buttery muenster cheese, and sweet honey butter makes these miniature Southern sandwiches perfect for picnics, parties, and/or feeding a hungry group of people. Each bite is packed with Southern goodness and the heart shape adds an extra layer of fun. Serve them with mimosas and a few of your favorite hot sauces. They're best made fresh, but you can make them a day in advance as long as they're kept cool in the refrigerator. Rich, creamy and irresistible pimento cheese is piled on top of a flaky buttery biscuit with a few slices of salty-sweet country fried ham, bright and flavorful pickled red onions, and earthy and vibrant bright green scallions. It's comfort food at its finest and it's bite-sized so you don't have to feel guilty! These little tea-time sandwiches are the perfect appetizer for baby showers, luncheons, or when you just really need to sit on the couch and binge eat until you're satiated. And although this recipe only makes one sandwich, you can serve these by the dozen with a few pitchers of mimosas or Bloody Marys. If you're vegetarian, leave out the pan-fried country ham and try adding a thick slice of salted tomato or some herbed buttermilk dressed greens. Did you ever think that a handheld sausage gravy and biscuit sandwich existed? Delicious venison sausage, gravy, jack cheese, and hot sauce on top of a delicious flaky biscuit make this decadent sandwich a winner.